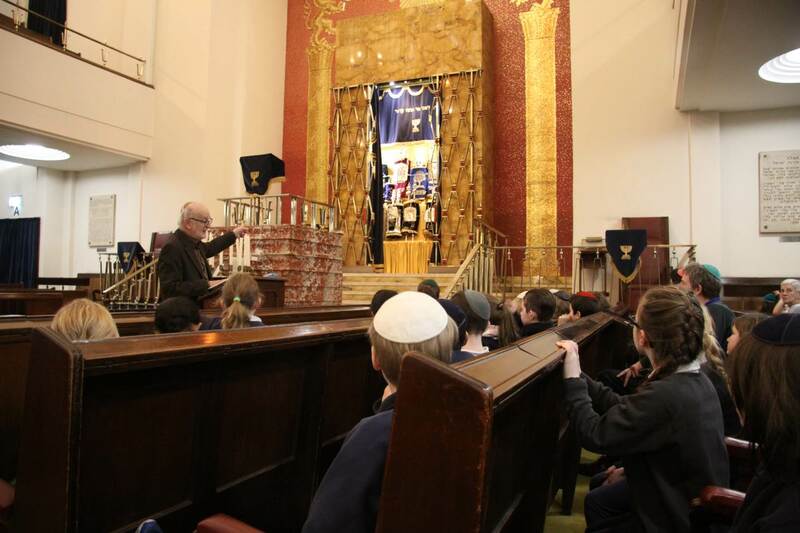 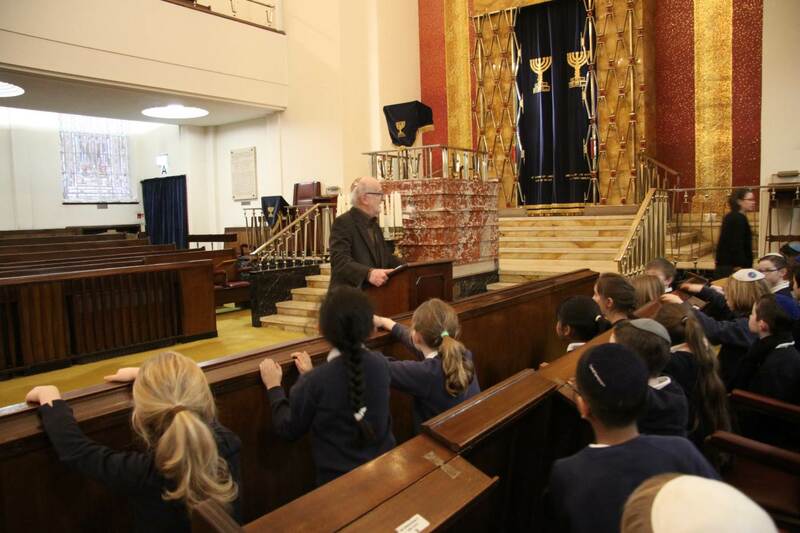 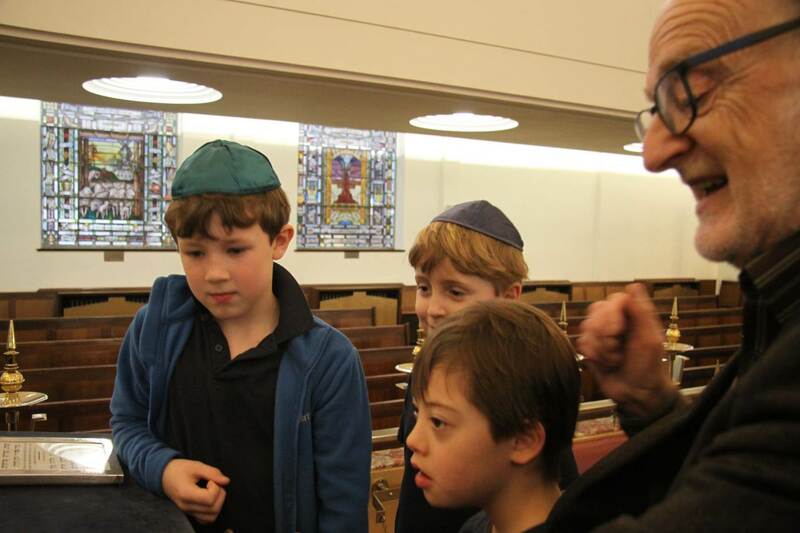 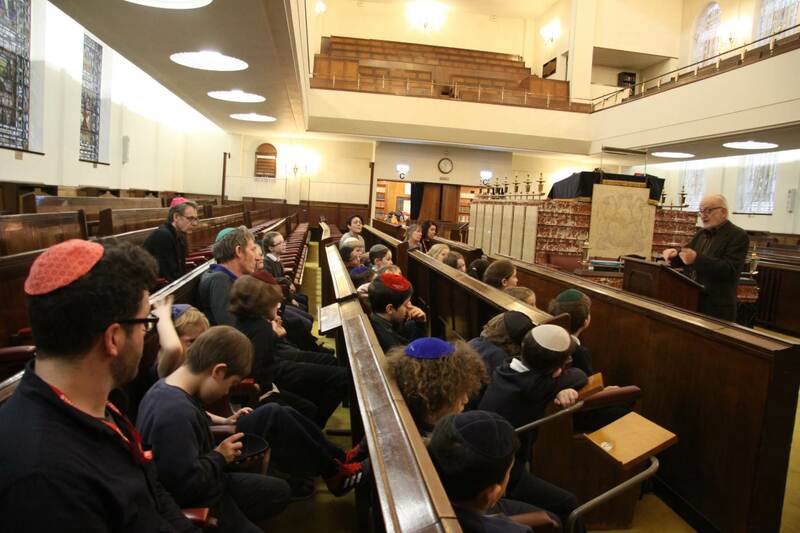 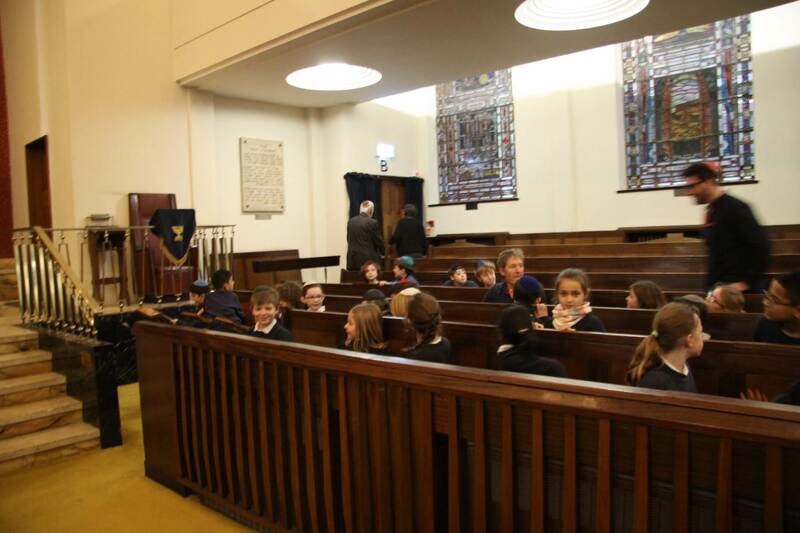 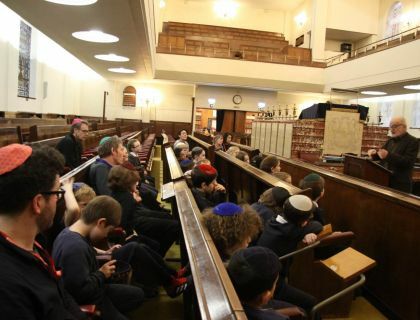 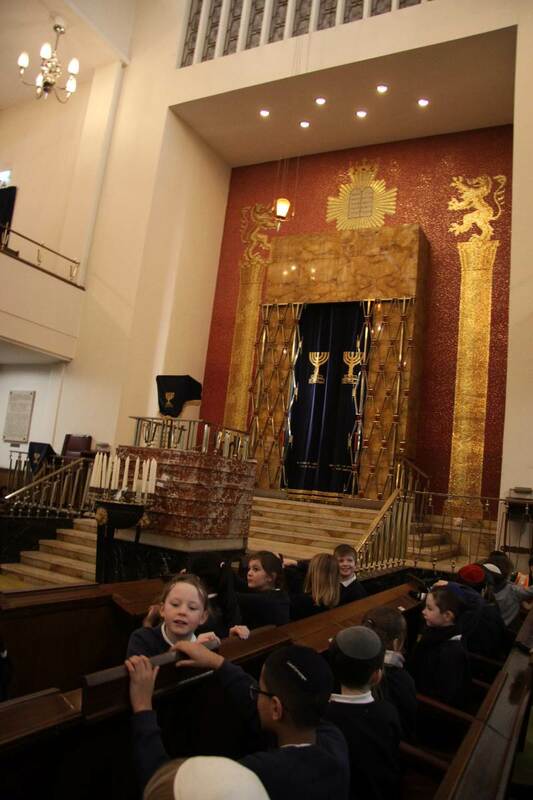 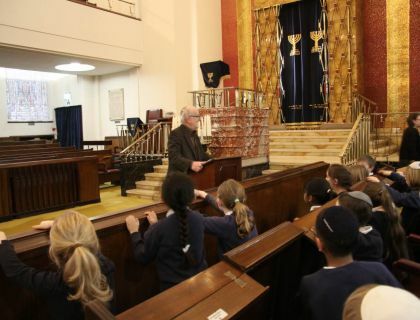 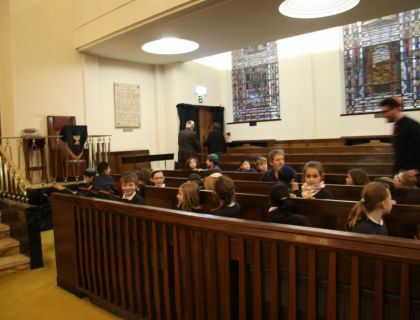 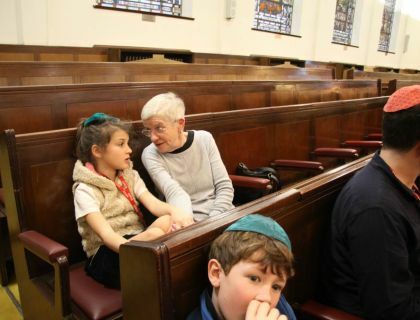 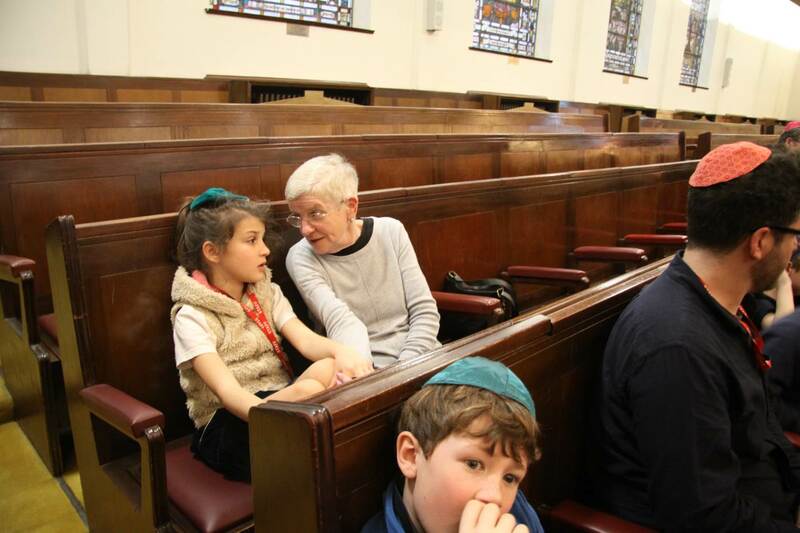 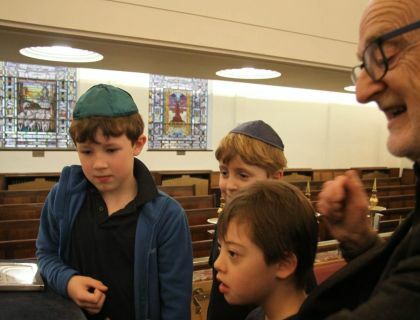 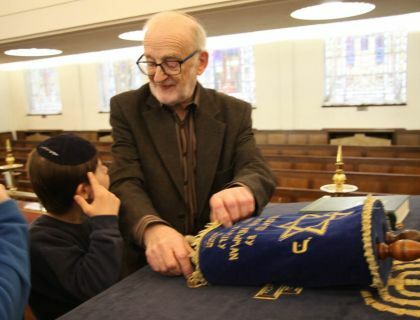 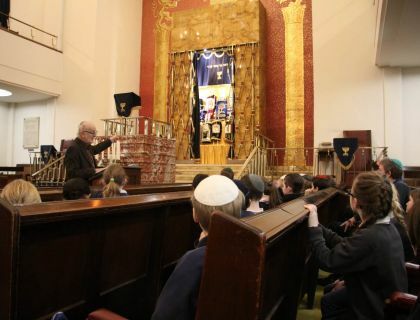 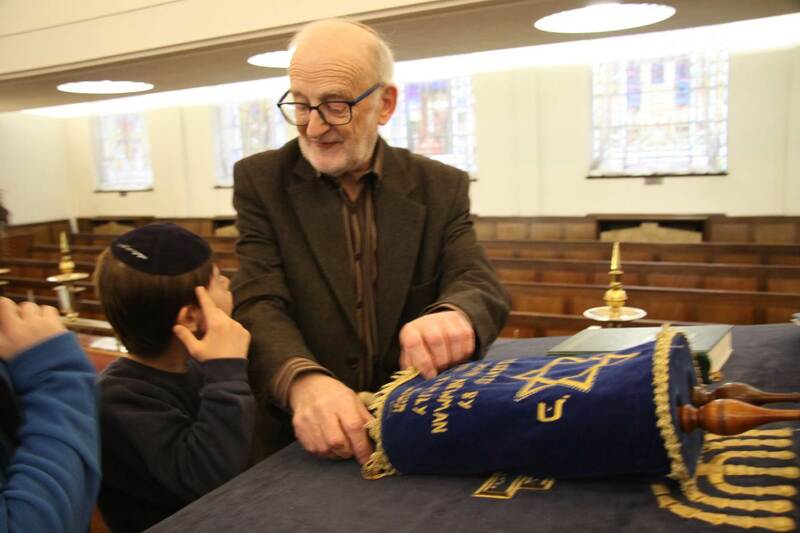 Cedar has visited the Synagogue to learn a bit more about Judaism. 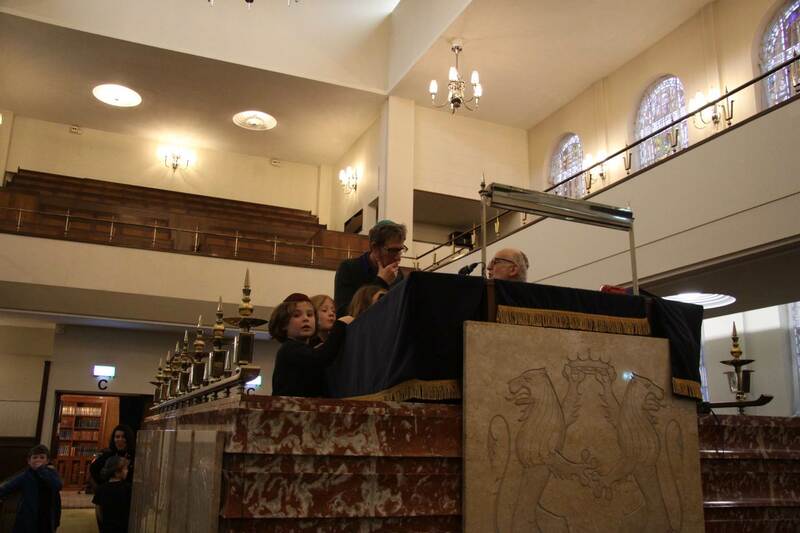 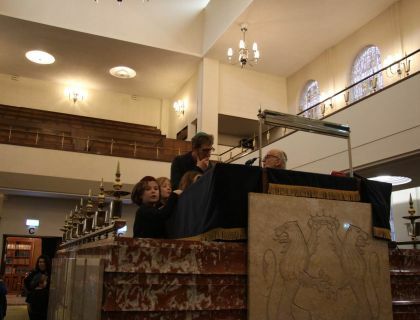 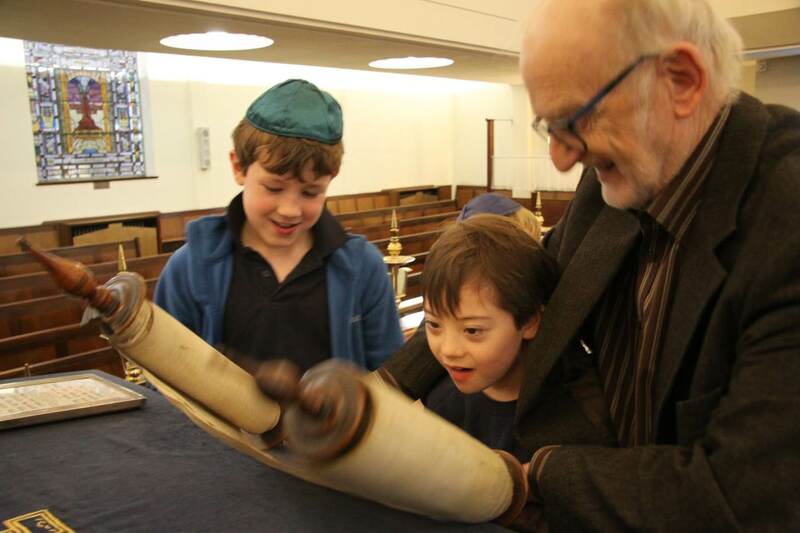 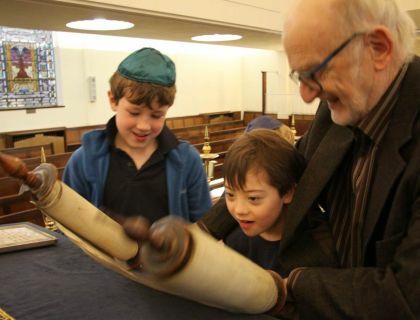 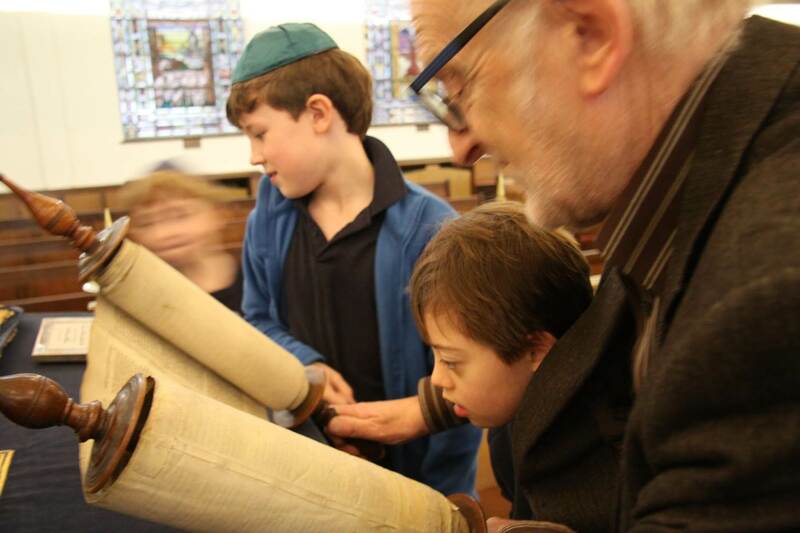 We learned about the three things that make a synagogue—the Ark, the everlasting flame, and the reading table. 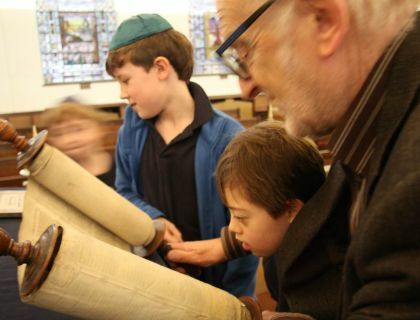 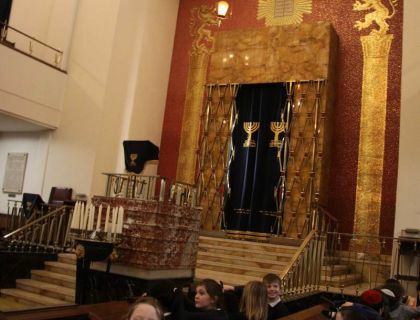 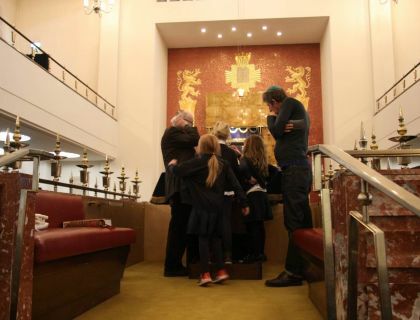 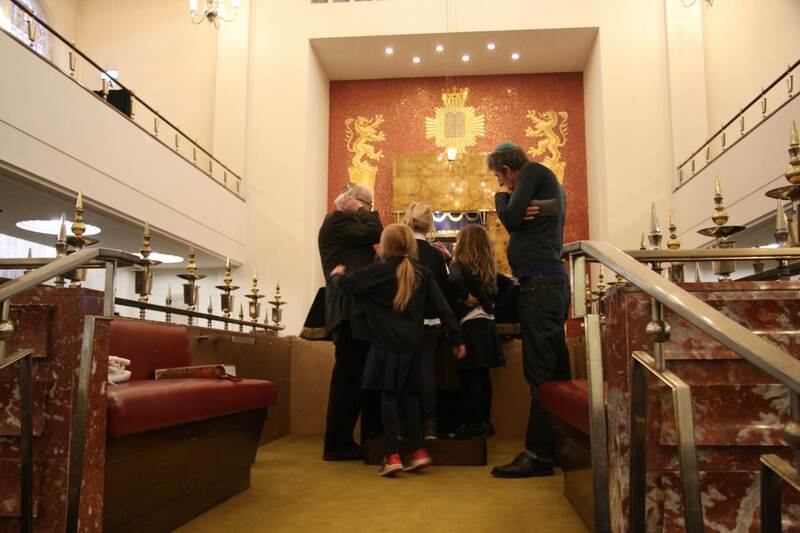 We looked in awe at the huge decorative Torahs (which are written by hand!) 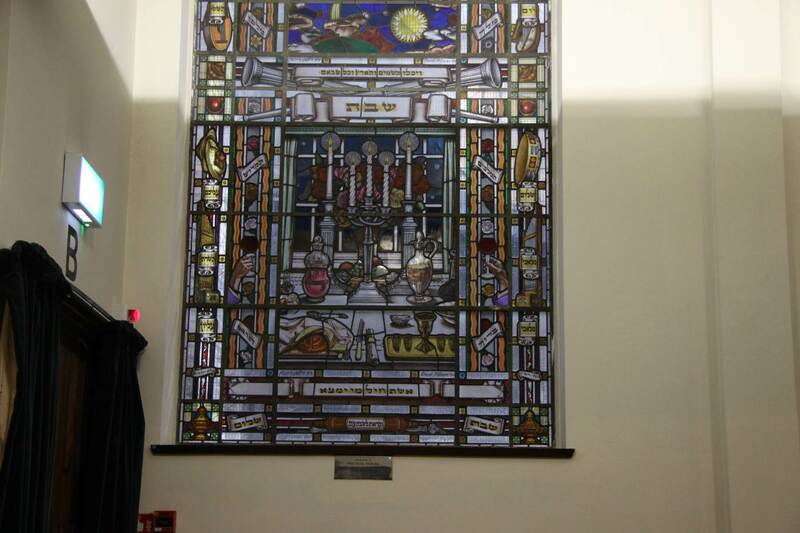 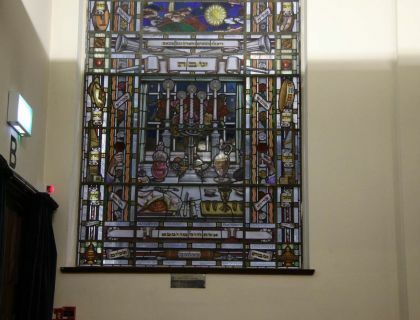 and at the stained glass windows which show the Jewish festivals. 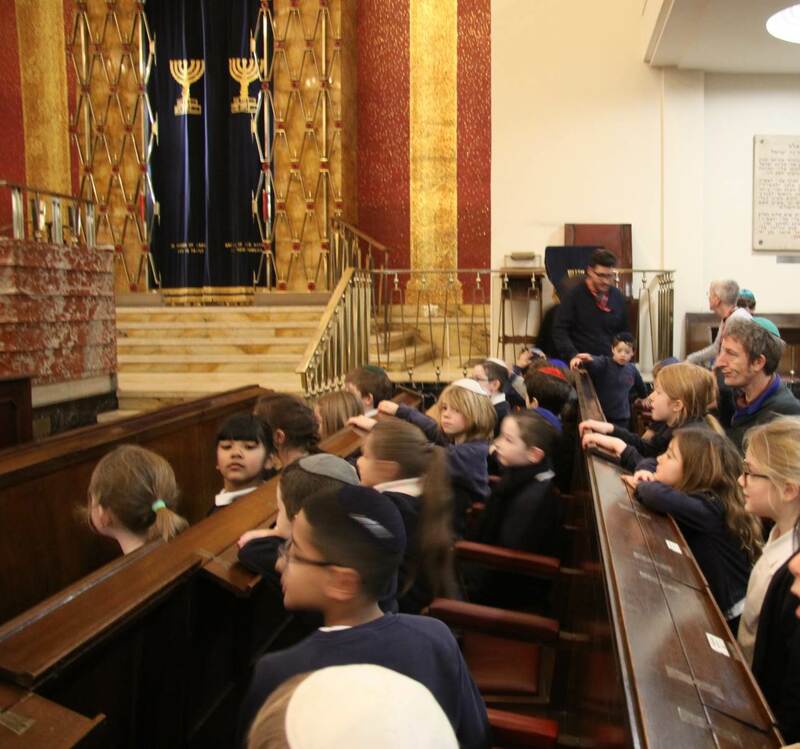 We heard about the Sabbath and what being Kosher means and asked many questions about the festivals and ways of life for the Jewish people. 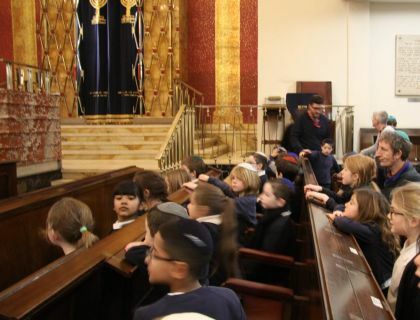 We accessed our right to article 17: You have the right to find out information, and article 30: You have the right to practise your own religion.